Iron Maiden rare signed music poster. 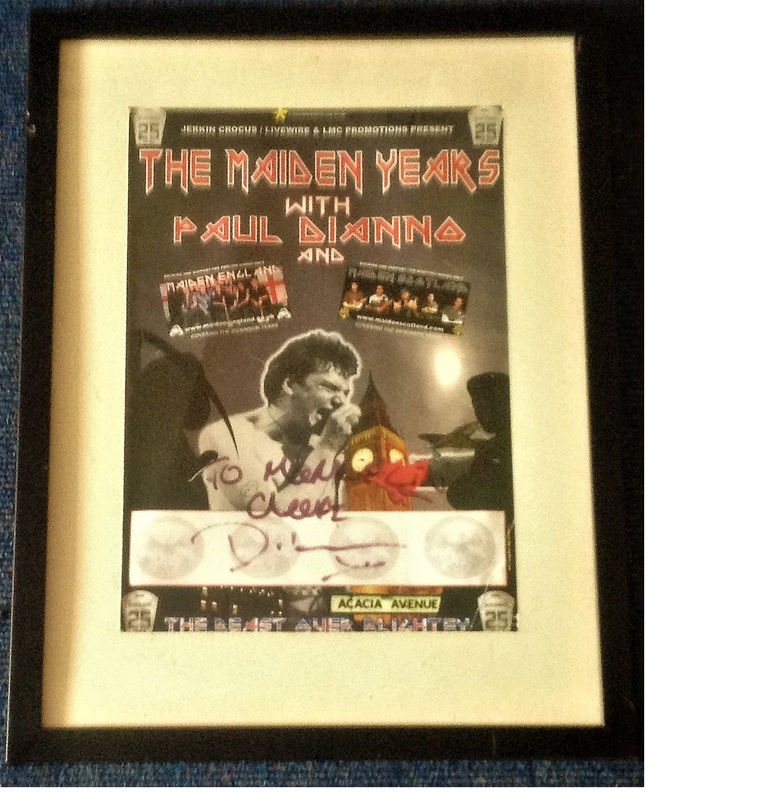 Signed by Paul Diano dedicated to Mark, when he toured in 2004/5 performing with a tribute band. Couple small creases framed to an Overall size 58 x 44 cm. Good Condition. All signed pieces come with a Certificate of Authenticity. We combine postage on multiple winning lots and can ship worldwide. UK postage from £3.99, EU from £5.99, Rest of World from £7.99.